Few events are as special as when your friends and family are expecting a new bundle of joy. Baby Showers are a wonderful way to shower the mother with love, friends and essential items that she need when the baby arrives. 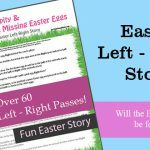 Party Game Ideas is here to help you make your Baby Shower / Couples Baby Shower fun and entertaining with a mix of diy and printable games that help entertain your guests and help make great memories. 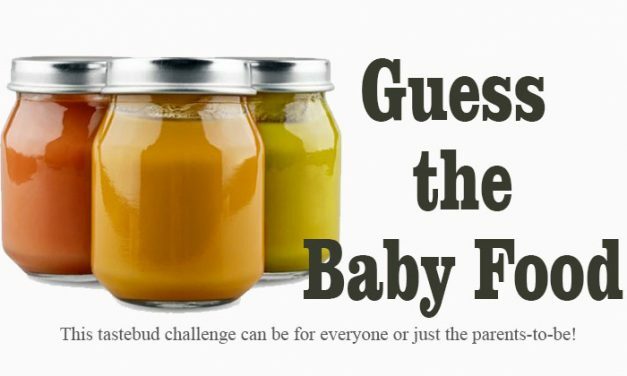 Guess the Baby Food – This Baby Shower challenge puts taste buds to the test to see if guests or the new parents know what peas, carrots, beets and other baby food tastes like. Measure Mommy Shower Game – Guests take lengths of string to that equal a part of the mom’s body – but will that part be the traditional belly or another part of the body? 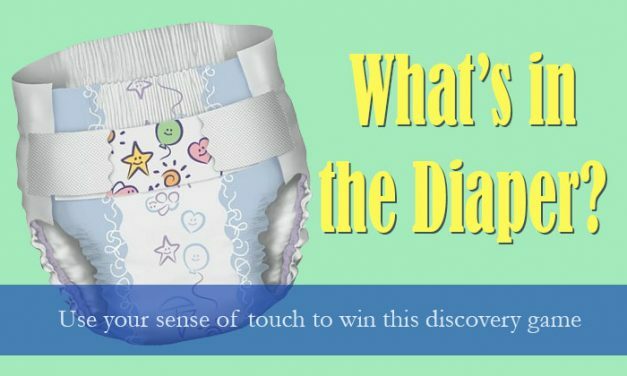 What’s in the Baby’s Dirty Diaper? 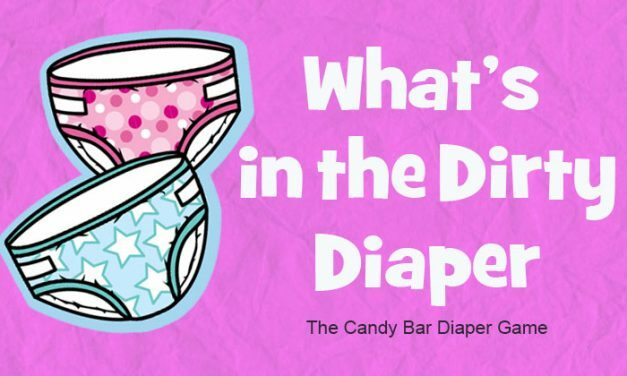 Guests will be sniffing diapers to discover what candy bar is in the dirty diaper. 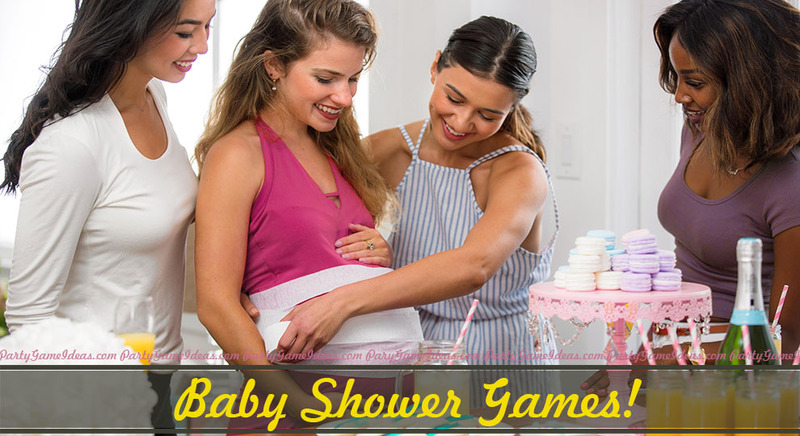 A classic Baby Shower game that is always fun. 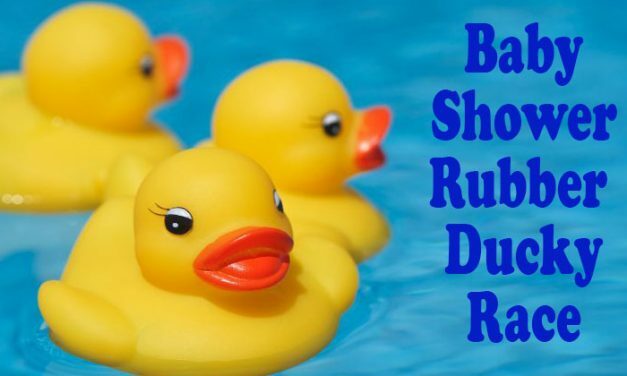 Baby Shower Rubber Ducky Race – Get the rubber ducky from one end of the pond by blowing on the ducky across the finish line. Only winners move on in this game. 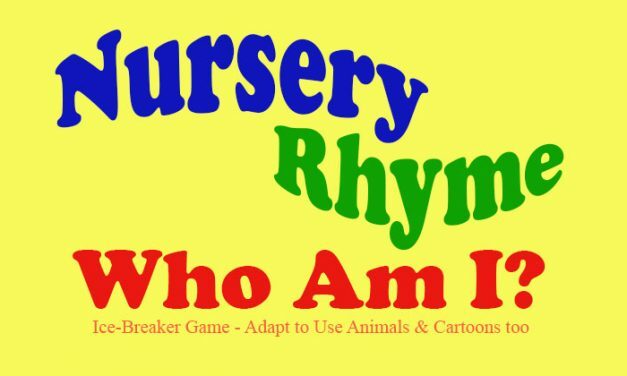 Nursery Rhyme / Cartoon Who Am I – Baby Shower Ice Breaker that will have your guests asking yes/no questions so they can figure out who they are. 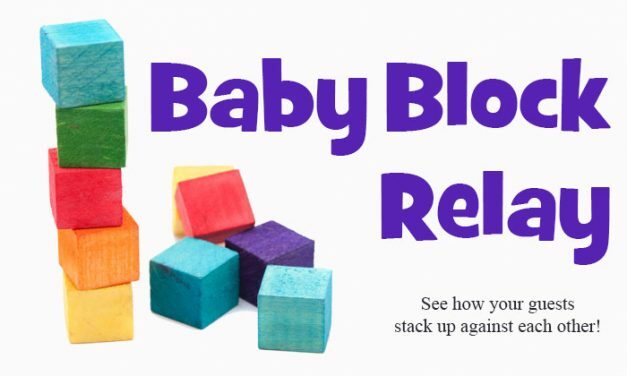 Baby Blocks Relay Game – This baby shower relay game challenges guests skills to balance baby blocks in a race against other teams. Silly & competitive game for baby showers. Baby Shower Bingo printable bingo game in pink for girls, blue for boys and yellow for when you don’t know the gender of the baby. 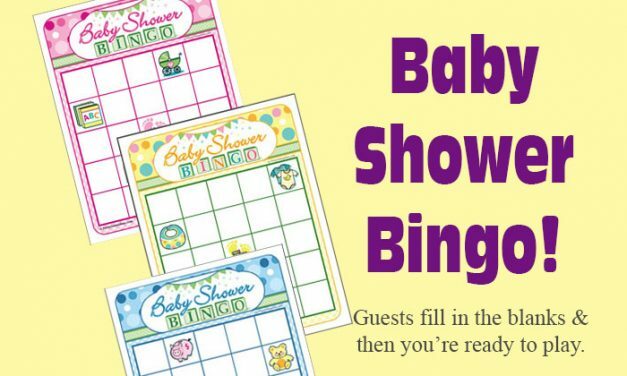 We allow you to fill in the Baby Shower Bingo squares. 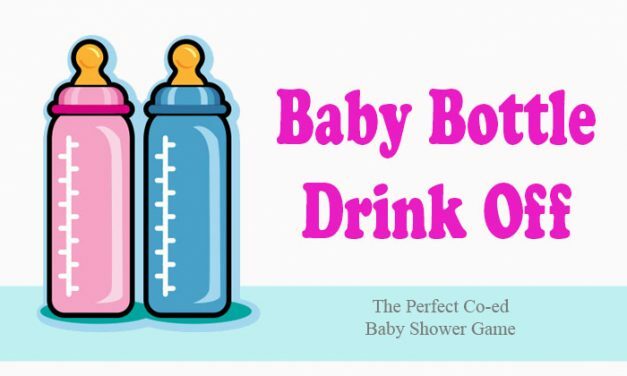 Baby Bottle Drink Off is a top Co-Ed Baby Shower game where players race to drink a baby bottle as fast as they can. Play as individuals or as a relay race. 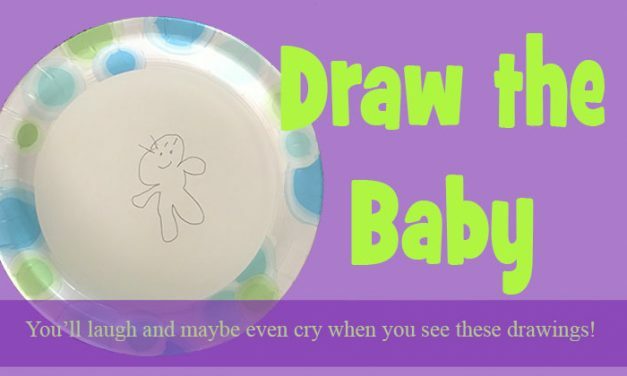 Draw The Baby Game is a silly baby shower game that has guests trying to draw a picture of a baby unseen. The hilarious part is where you must draw the picture of the baby. 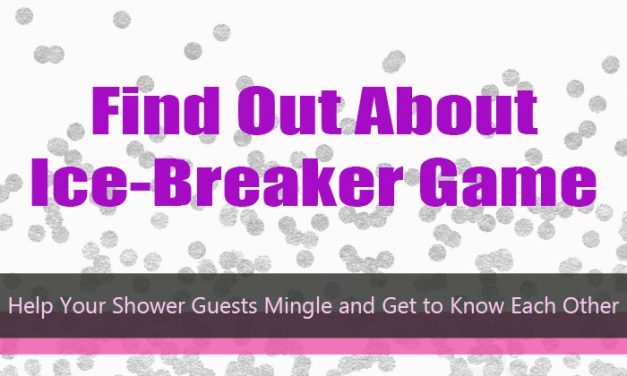 Baby Shower Elimination Game – Ice Breaker Shower Game is a random baby shower game that removes players from the game based on traits and items worn. 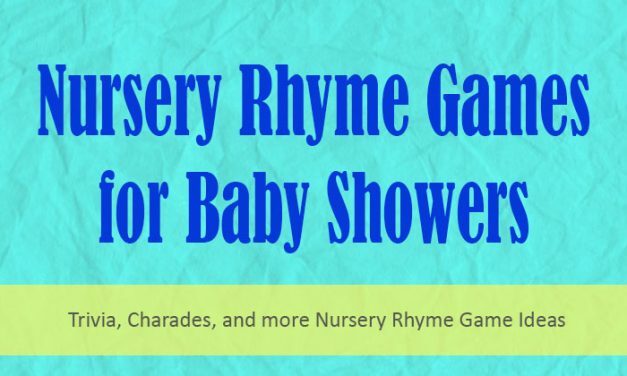 Nursery Rhyme Games for baby showers. 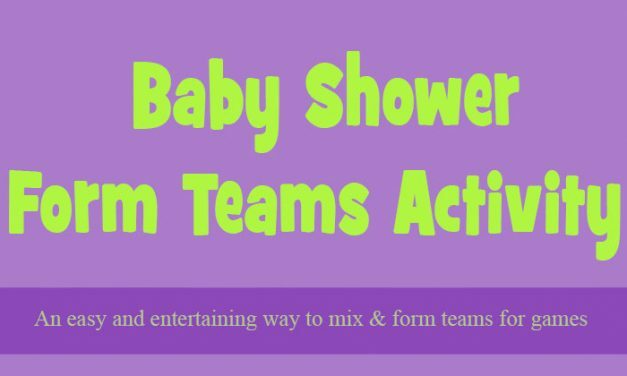 Several fun shower games that work for Nursery Rhyme themed baby showers. Easy diy shower games that make a unique baby shower. 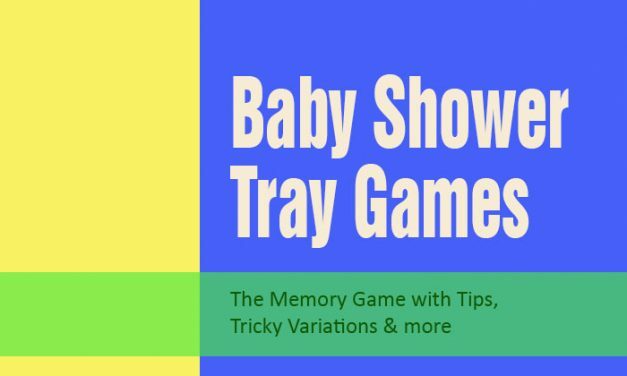 Baby Shower Tray Games – Baby and new mom items are scattered on a tray and guests have a limited time to review it. Game options & tray game variations. 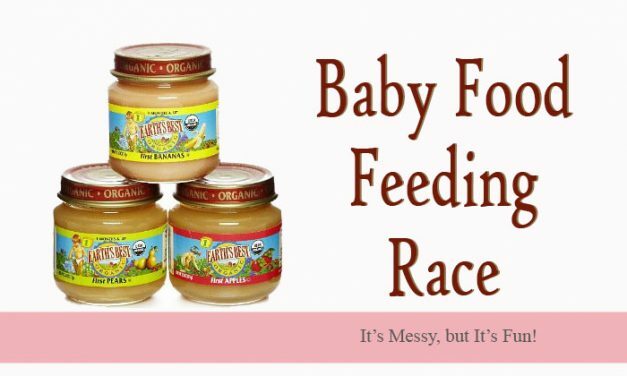 Baby Food Feeding Race. 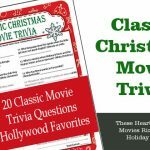 Which team can feed each other the fastest without getting food all other the place. 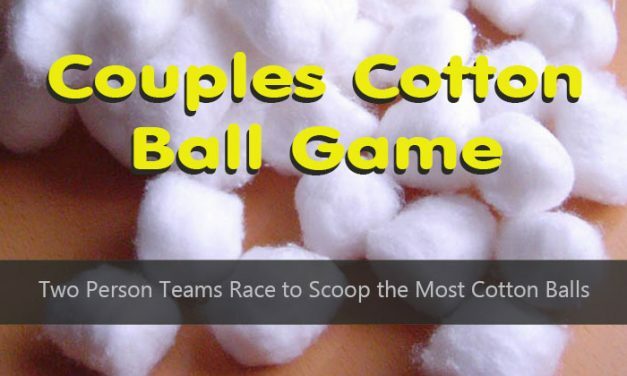 Great couples baby shower game. Baby Food Feeding Relay option too. Get To Know You, Pick Teams Baby Shower Game. 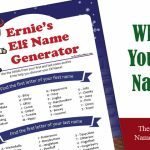 Good ice breaker activity to play before you play your first game. 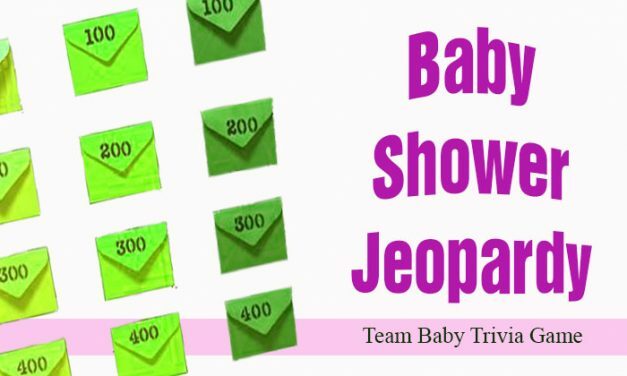 Baby Shower Jeopardy tests guests baby knowledge in the style of the tv Jeopardy, but with changes for team play. Pit the guys against the girls or just mix up for team play. 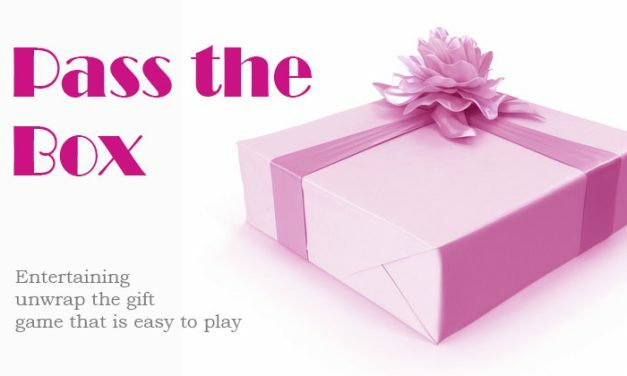 Pass the Box Bridal Shower Game. 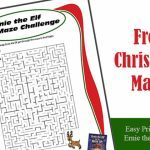 A gift passing game that is easy to play and can be used as an ice-breaker or between activities. Several variations for bridal and wedding showers. 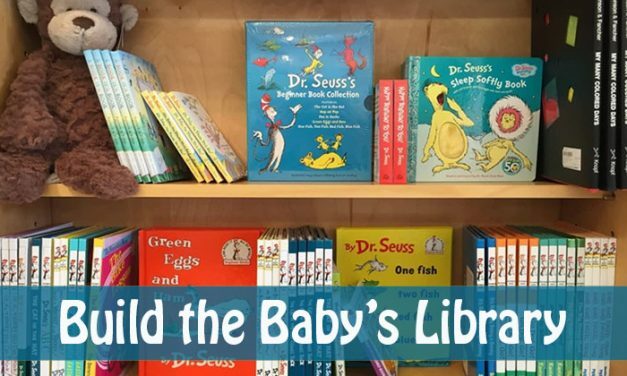 Build the Baby’s Library Activity – An easy Baby Shower or 1st Birthday activity to help get a great mix of stories to read to the baby and allow for future reading for your little one. 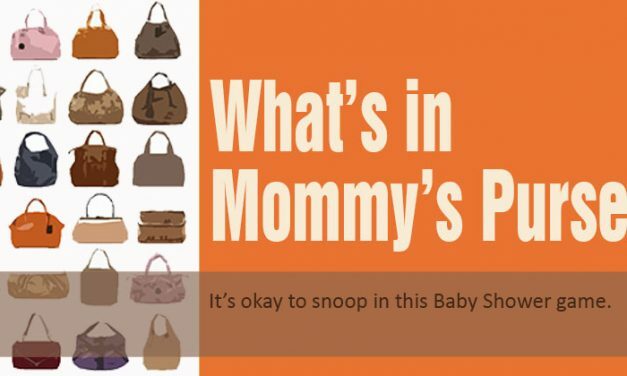 What’s in Mommy’s Purse? Baby Shower Purse Game – The version has guests seeing whether they have the same items in their purse as the mom-to-be. 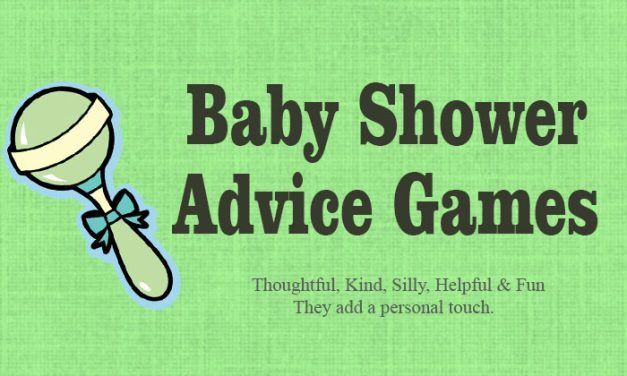 Baby Shower Advice Games allow other moms and friends to share ideas on motherhood, babies, cooking and more. Silly or serious good advice is helpful for any new mom. 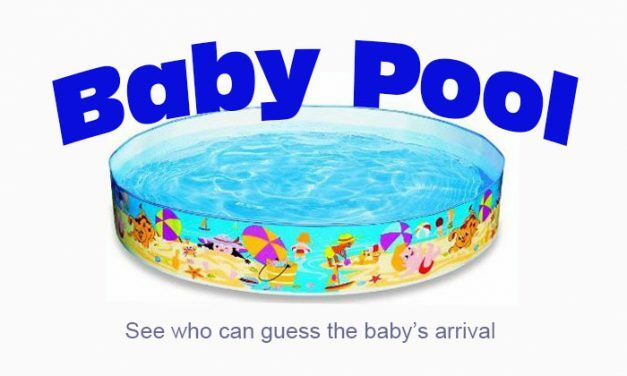 Baby Pool – Guess the Baby’s Arrival Date. Have fun guessing wen the little bundle of joy will arrive. 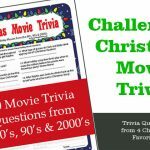 Fun activity and can use to raise money for the new mom too. 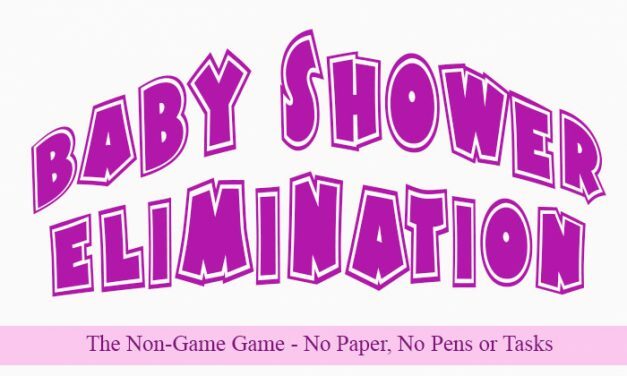 Fun Baby Shower Scratch Off Games allow you to have a random winner to any game. 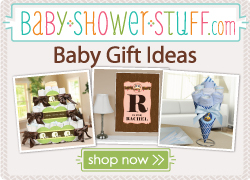 Perfect for Diaper raffles, drawing games or just surprise fun at the Baby Shower! What’s in the Diaper / Pass the Diaper – Baby Shower discovery game when guests need to determine what the baby new mom item is inside the baby’s diaper. 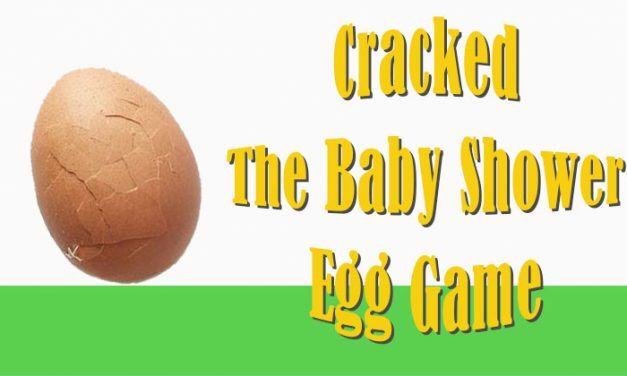 Cracked is the Baby Shower Egg game where guests see if they can keep their egg together. A silly game involving some skill, lots of luck and an Egg Drop! 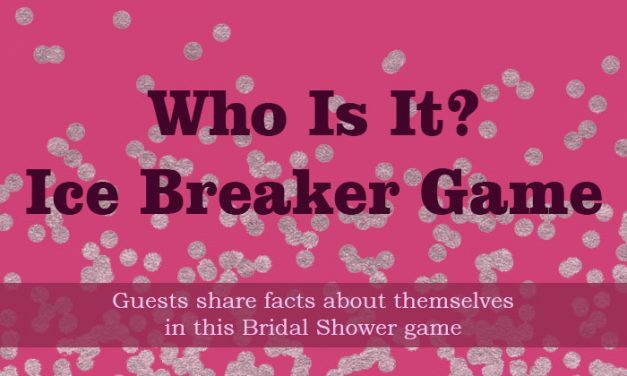 Find Out About Game – The ice breaker bridal shower game that invites guests to mingle and ask questions about each other in order to win this game. 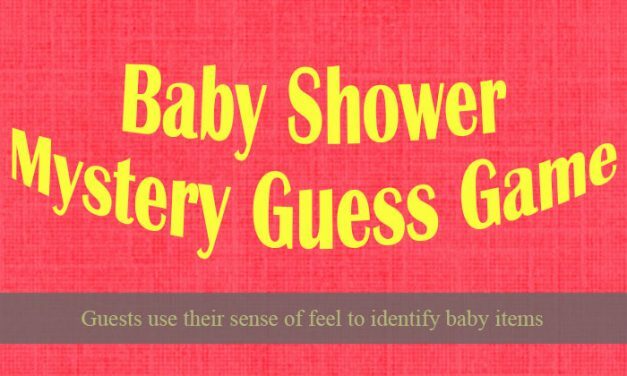 Baby Shower Mystery Guess Game – This discovery baby shower game will test your guests sense of feel to see if they can identify new mom and baby items. Few things are more life changing than having a baby, and the first one brings a lot of changes. With those changes come the need for things new moms and parents have never had to buy. Diapers, formula, a crib, baby bottles, diapers, baby bags, diapers and lots of tiny clothes for the little one. That is where the Baby Shower comes in; a Baby Shower is held to help make sure the mom-to-be is prepared for the arrival of the bundle of joy. 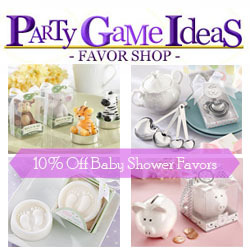 And Party Game Ideas comes in to assist you in making a special occasion with Baby Shower games and activities for your event. Most games are easy diy games that can be easily adapted for your event. 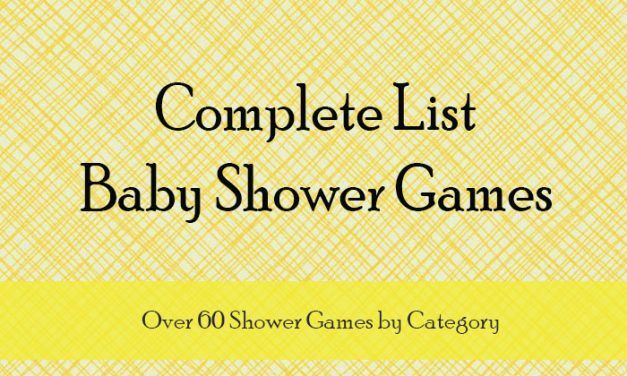 Please enjoy our list of shower games and if you feel that we've missed one, please let us know and we will consider adding it to our site.